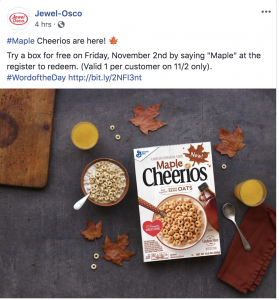 Yes, once again we have cheerios for the Word of the Day, but thankfully, not Pumpkin Spice! Tell your cashier MAPLE tomorrow, November 2nd and your purchase will be completely free, no tax, no nuttin’. No MyMixx account required even!